Lenoir, NC – Corde Cantanti (Singing Strings) combines the diverse talents of Corinne Cassini, Douglas James, and Hazel Ketchum. 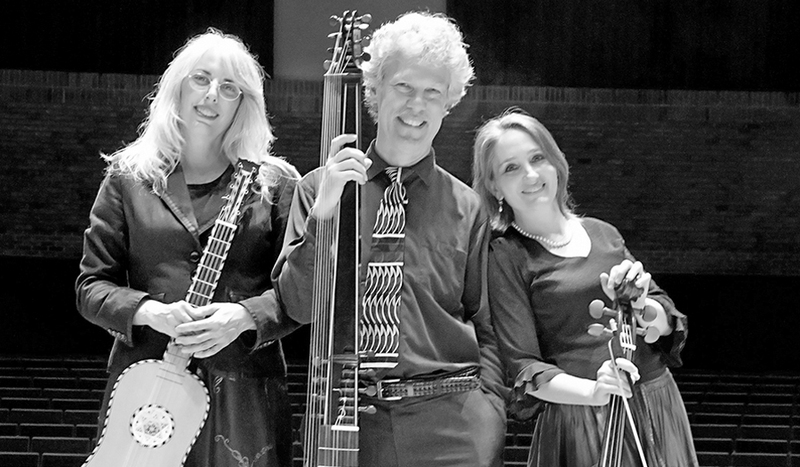 Featuring the vocals of Hazel, the group focuses extensively but not exclusively on Baroque music, and performs on a variety of historical and modern instruments including lute, guitar, cello, theorbo, and percussion. They will perform in concert on Sunday, October 14, at 4pm at the Chapel of Rest. The Chapel is located at 1964 Highway 268, Lenoir, NC, 28645. Admission is $15, with a reception after the concert. Franco-American cellist Corinne Cassini was born in Cincinnati, OH, and began playing the cello where she grew up in the Loire Valley, France. After graduating with a Bachelors in Music with Paul Katz from Rice University she moved to Freiburg, Germany for graduate studies in cello with Adriana Contino, and viola da gamba with Ekkehart Weber. Once there, her passion for Early Music on period instruments could no longer be contained, leading her to relocate to The Netherlands where she continued her studies. In 2012, she was appointed to teach the Alexander Technique at the Hayes School of Music at Appalachian State University. Douglas James has appeared as a classical guitarist throughout the United States as well as in Europe and Mexico. He has been a featured recitalist at such notable venues as Italy’s L’Estate Chitarristica sul Lago Maggiore, the Stetson International Guitar Workshop, Oberlin Conservatory, and New York’s Carnegie and Merkin Halls. He has won top prize in the Arturo Toscanini Solo Guitar Competition (Italy), and twice has been awarded a National Endowment for the Arts Solo Recitalist Fellowship. James often features 19th century instruments in his performances of the Classical and Romantic literature, and plays regularly in a period guitar duo with the Italian guitarist Pasquale Rucco. Hazel Ketchum is a multi-talented artist, skilled as a singer, guitarist, lutenist, and percussionist. Along with her solo performances, Ms. Ketchum has been a member of several chamber ensembles, most notably the early music ensemble Sonus, whose three CD’s on the Dorian label feature Hazel’s vocal and instrumental talents. As a member of Sonus, Hazel has performed throughout the United States and at the Tage Alte Musik Festival in Regensberg, Germany. She has also been featured on radio broadcasts both in the US and in Europe. Hazel Ketchum has performed countless times on Piccolo Spoleto over the past 22 years and for the following groups and in the following series: Sonus, Na Fidlieri, The Hungry Monks, Charleston Pro Musica, The Taylor Festival Choir, The Harrows, Donnybrook Legacy, Fretwork and Folk Series, Early Music Series, Blues Series, Festival of Churches, and Contemporary Music Series. Hazel is in demand as a music teacher and directs music studies for the Cooper School, Meeting Street Academy, Oak Grove Montessori and develops song writing residencies for Engaging Creative Minds. In the summers Hazel teaches with her husband John Holenko for the Mark O’Connor Fiddle Method Camps at Berkley School of Music in Boston and the Method Camp in Charleston, SC. 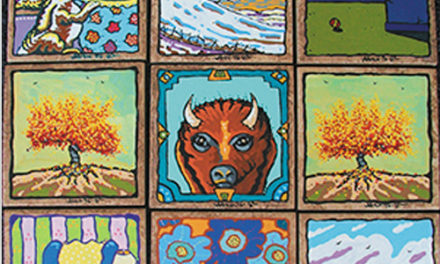 You can also find them teaching music at Green River Preserve in North Carolina where their musical performances and classes combine with outdoor experiences. Hazel lives in Charleston with her family and together they run Hungry Monk Music where students of all ages come to play music, dance and sing.